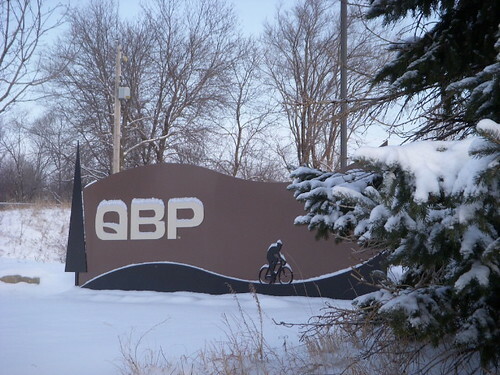 Every February the mega bicycle distributor, Quality Bicycle Product (QBP), holds an open house for all of its dealers at its home office in Bloomington, MN. This gives brands and bike shops the time to get face to face time on a personal level as well as get hands on with all the products that QBP distributes. QBP is one of Ergon’s largest distributors in the USA. 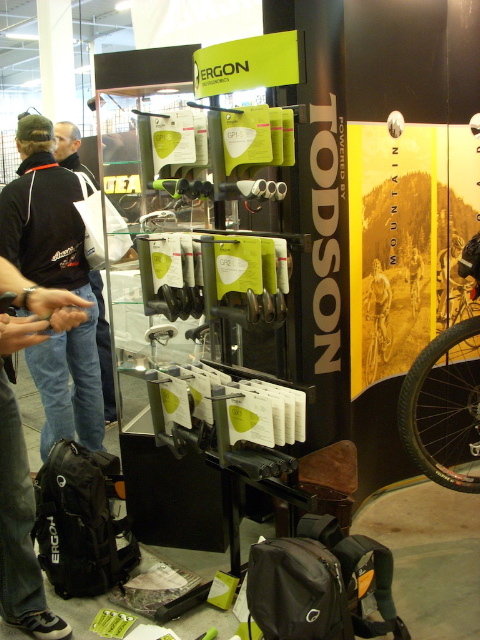 Chances are if you see Ergon on you bike shop store shelves…it comes from here. 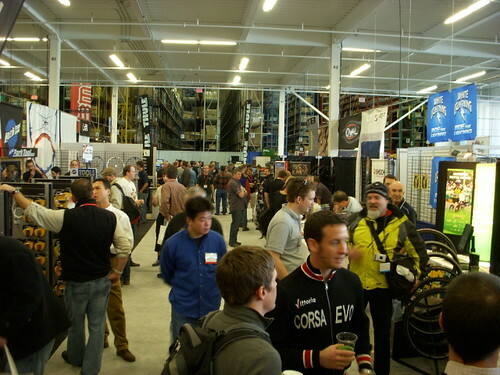 The Frostbike show and open house is one of those events the bike shop folks look forward to each year. This year was no different, as the masses invaded QBP to drool all over the latest bicycle tech. 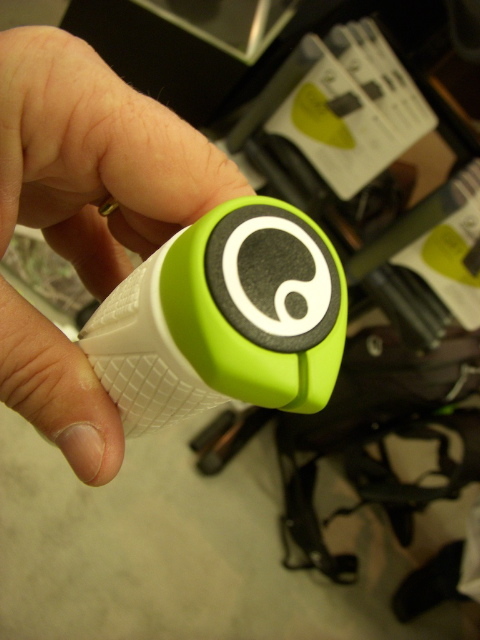 Ergon is introducing many new products this year, including the GA1 which is seen above. New products also mean new colors and new bar plugs. 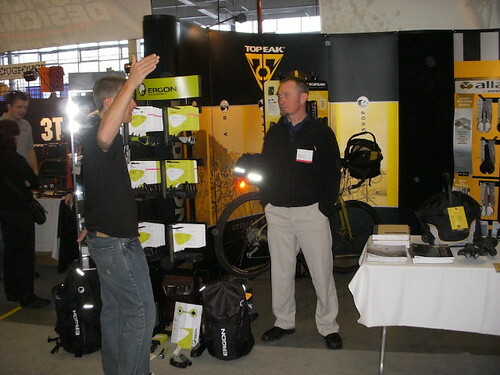 Ergon pressence at the event was small…but that didn’t mean we weren’t busy. Sharing a booth with Topeak, we hand numerous folks swing by to ask questions, see new product, try on the packs, and tell us how they can’t keep the product in stock. Stay tuned, as we are heading to Indy for the N.A. Handmade Bicycle Show. Another recap with photos and video to come. 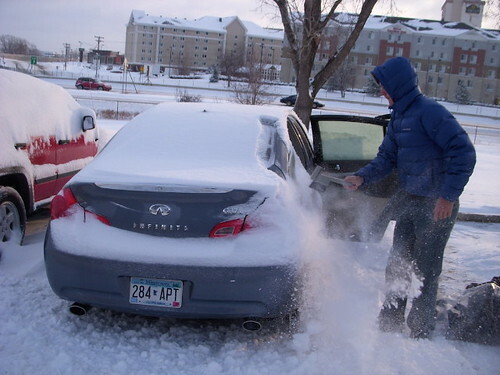 This entry was posted on February 23, 2009 at 4:37 pm and is filed under EVENTS. You can follow any responses to this entry through the RSS 2.0 feed. You can leave a response, or trackback from your own site.